Power amplifiers were based on vacuum tube technology for many years. Nearly every home stereo or musical instrument amplifier was a tube amp, with a few exceptions here and there. Consequently, the speakers that were included in record players, stereo systems and musical amplifiers were made to match the impedance and load capabilities of tube amps exclusively. Although solid-state technology has taken a firm hold on the amplifier market, the speaker designs that were originally intended for tube amps are readily available. The vacuum tube, so-named for the absence of air within the glass tube enclosure, consists of four components: a filament, a cathode, a plate and a grid. The filament heats up when current flows through it, which activates the cathode to produce positive electrons. The plate provides the negative electron charge necessary to complete the circuit, and this flow of positive and negative electrons is controlled by the grid. The idea behind tube amps is that using one or more tubes to accept and transfer voltage loads, such as a radio signal or a guitar signal, can be controlled by the tubes in such a way that an even, constant transfer of current between the amplifier and the speaker(s) can take place, thus delivering a constant, reliable sound reproduction. The decision on speakers for any type of amplification system, whether it is vacuum tube or solid state, must rest on matching impedance and ohm loads. A speaker’s capability to resist or impede the current running through its circuitry must match the output impedance of the amplifier. For instance, a speaker that is rated as 8 ohms will work best with an amplifier that produces as continuous an impedance at 8 ohms as is possible (most quality tube amps do this). Choose a speaker with the highest impedance rating possible (a minimum of 88 Hz) that matches the output impedance of the amplifier. The higher impedance capability will help tube amps to produce the highest continuous level of signal with the least problems overall. In the heyday of tube amps, certain speaker manufacturers became popular because they understood the workings of tube amps very well. This understanding allowed them to maximize their speaker designs to operate a peak efficiency with the inherent characteristics of current flow produced by tube amps. One of the most highly praised speakers of the time were Celestion speakers. The Celestion speaker company, producing quality loudspeakers since the time of wireless radio receivers in the 1920s, became most famous for being the standard speaker used in Vox musical amplifiers. Naturally, the Beatles’ rise to fame in the 1960s was accompanied by their exclusive use of Vox amplifiers, giving Celestion speakers the iconic status they enjoy to this day. Another well-known brand of speakers for tube amps has been Altec Lansing. 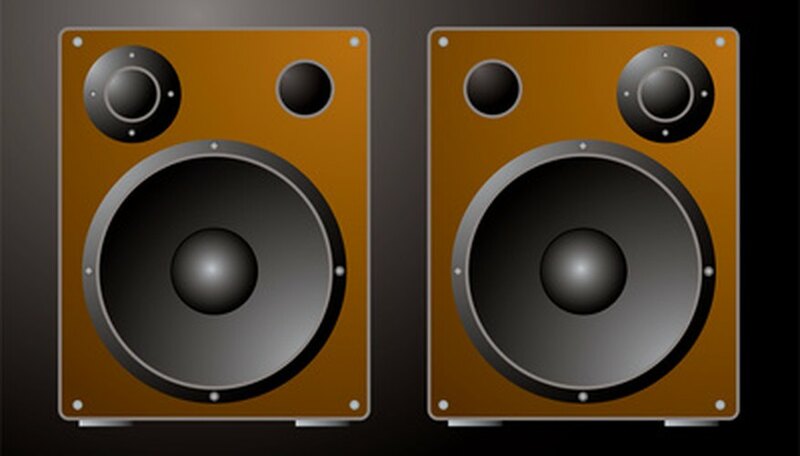 These speakers became widely used for live sound amplifiers because of their durability and overall tone quality. Today, there are many quality speakers for tube amps, due to the advancements in overall speaker design that allow speakers to handle many different applications. Gauss, JBL, Black Widow and Bag End are often used with tube amps for their superior sound reproduction. Other brands include Eminence, Klipsch and Infinity.